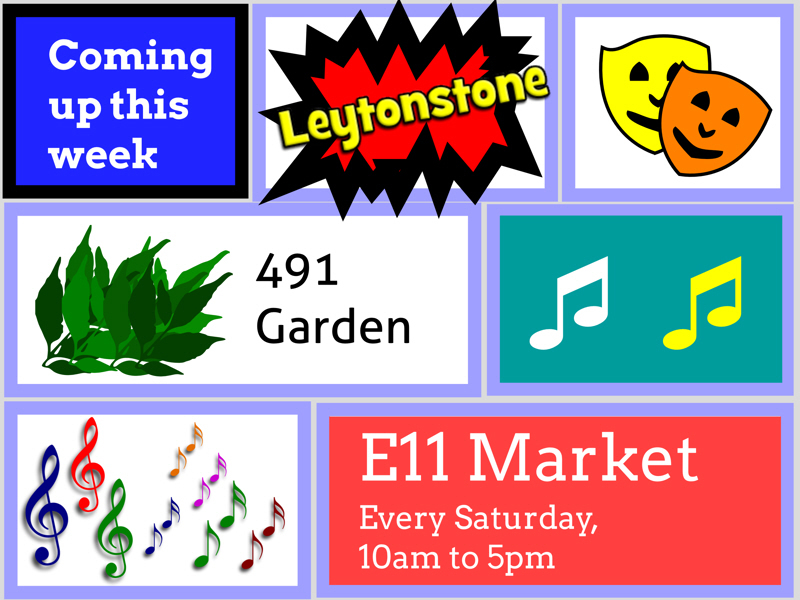 Some of the highlights of things happening in Leytonstone in the next week or two. There are also regular music events at many of the other pubs. Friday Night at the Big Wheel, Luna Lounge. The Birkbeck is under threat at the moment, so needs all the support it can get! What’s Cookin’ has a regular programme of events at the Birkbeck. Give them your support. The season’cs coming to the end for these Thursday evening tours, so don’t miss your last opportunity to see the stunning views from the church tower. Booking essential. Contact: St John’s Church. Tumbled House exhibition. Check the Stone Space website for opening days and times. The Stone Space is also inviting artists to submit works for an open call exhibition titled “Minutiae”. All types of media are welcome. Starting to have thoughts about Christmas shopping? The local shops need your support —take a look in Leytonstone first. The Lion Heart Market will also be outside the Red Lion this Saturday. 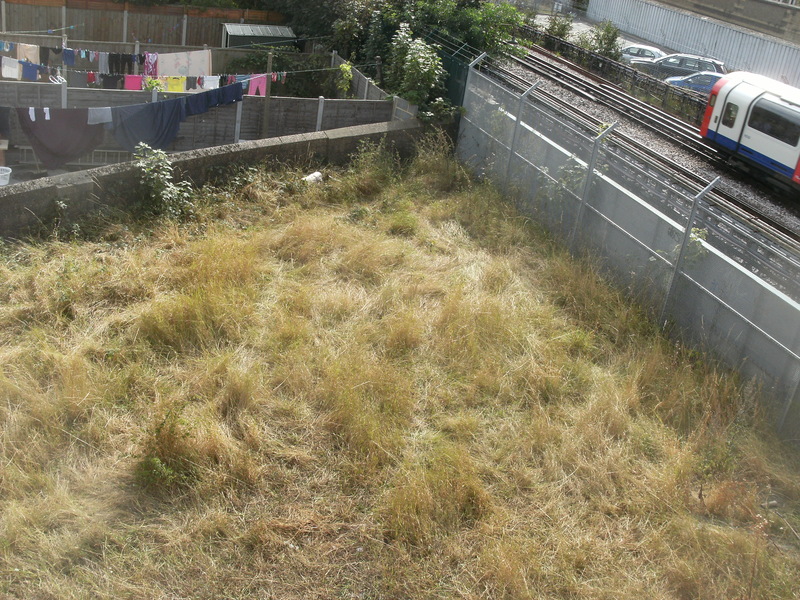 Continue to clear site, this Sunday 10.30, 113 Harold Road. John Mortimer’s funny and poignant play A Voyage Round My Father 2, 3, 9, 10 November at the Welsh Church Hall E11 1HR. Leytonstone (online) Museum is starting a new project Inside Leytonstone to document things that people in Leytonstone collect. See the Leytonstone Museum website for more information. 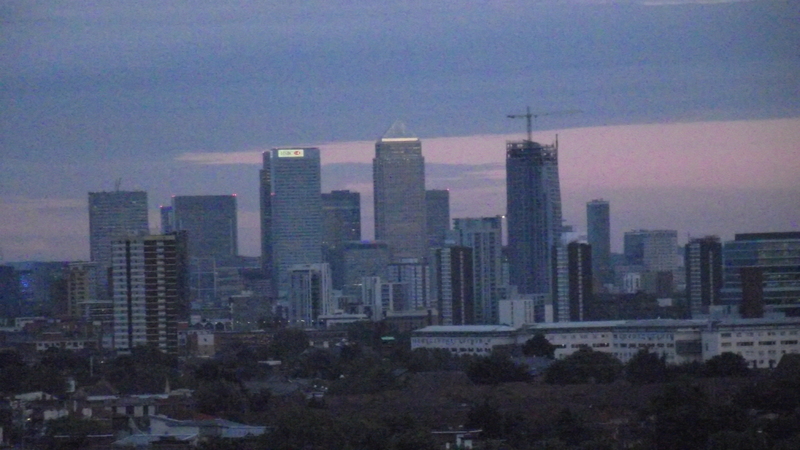 Two Leytonstone institutions whose futures are under threat have launched new websites this week. The Birkbeck Tavern faces being sold and regulars are fighting to ensure its survival as a pub. 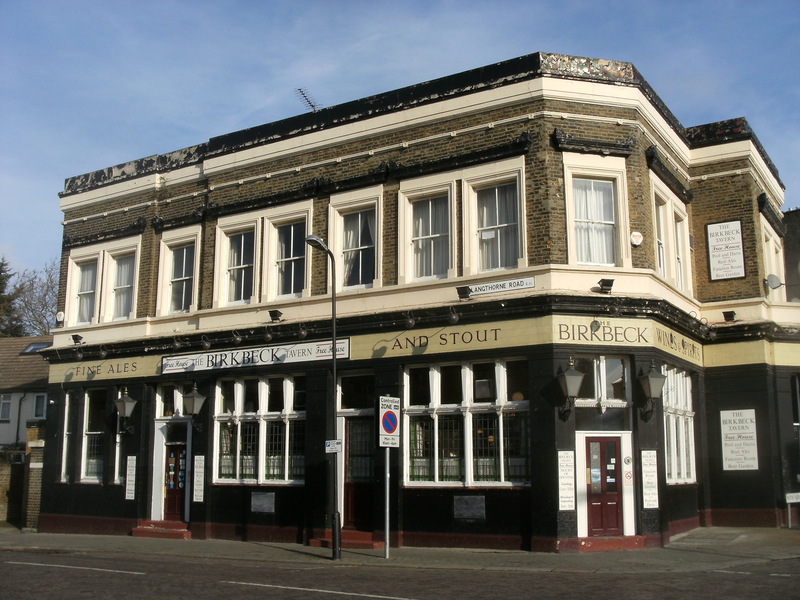 The Birkbeck Tavern, in South Leytonstone, is a favourite with Leyton Orient fans as well as being the home to the What’s Cookin’ music club. 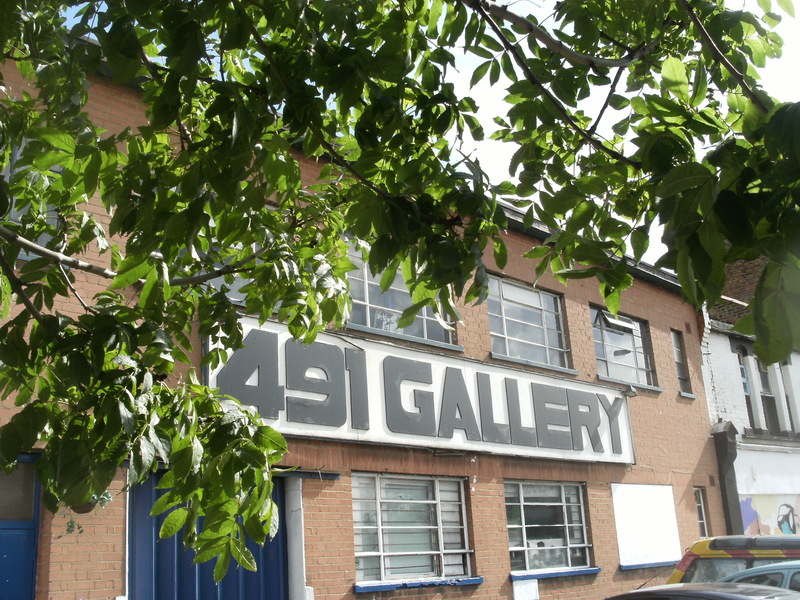 It’s understood that the 491 Gallery on Grove Green Road has agreed with its landlord to move out in the New Year and the building is due to be demolished and turned into flats. Some of the members of the 491 community have now formed a limited company Wild Note Arts to allow them to obtain funding and find new premises.